Over time your skin needs help and EliteSkin is the one you need with their clinically proven formulas of skin care and wrinkle treatment products. I was sent the Elite Telomere Cell Cream “Airless Pump Version” to test for my review and found impressive results after a two-week trial. EliteSkin using pharmaceutical grade active ingredients like Renovage, Pure Hyaluronic Acid, and Teprenone to correct signs of aging by promoting the skin’s natural protection and repair factors involved in detoxification and anti-stress. What makes these formulas highly effective are through the telemore maintenance and DNA repair these products work on from within to readjust while rebuilding cell structure against the aging process. I loved the fact I got rid of a tiny discolored sun spot on my cheek when using their Elite Telomere Cell Cream. No longer did I have to depend on dabbing on concealer to keep that imperfection hidden. In addition, I thought my skin looked clearer overall, which pleased me to no end. EliteSkin has real science behind their complete line of anti-aging products. They even have a special eye product to diminish dark circles beneath eyes called Elite Eye Serum that would be interesting to test as most women know with this same problem. I only tested their Elite Telomere Cell Cream “Airless Pump Version” and noticed a big difference in my complexion. Yet, can you imagine the results achieved if using their entire regime together? 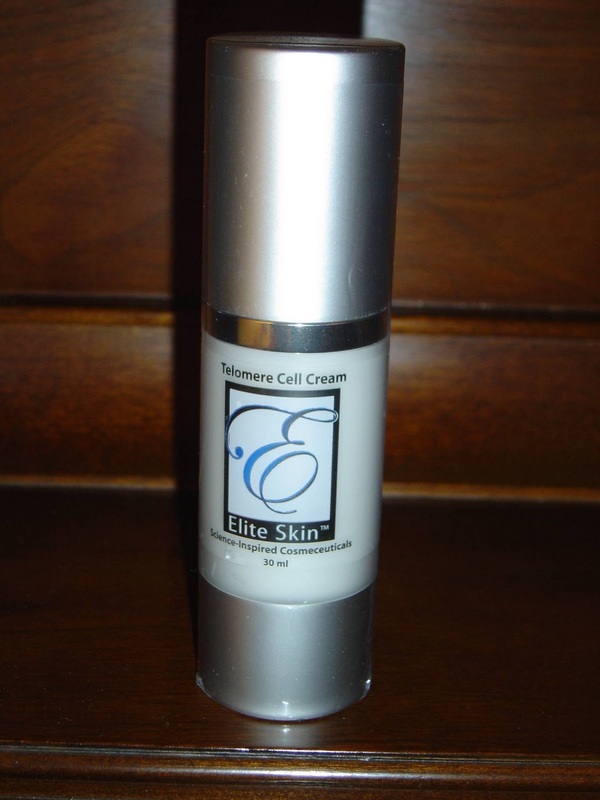 Have you ever tried this company’s Elite Telomere Cell Cream? If you haven’t gotten around to it yet, I think that you owe it to yourself to give it a try. Check it out at the EliteSkin website. I can vouch for the quality of the product – it's fabulous!